Several US states are suing the Trump administration over its “zero tolerance” policy that led to thousands of migrant children being split from their families on the US border with Mexico. Despite Trump’s order, there was no immediate plan in place for family reunification. “We have no way to predict from one day to the next what this president’s policies or intentions are,” Washington state Governor Jay Inslee said in a statement. 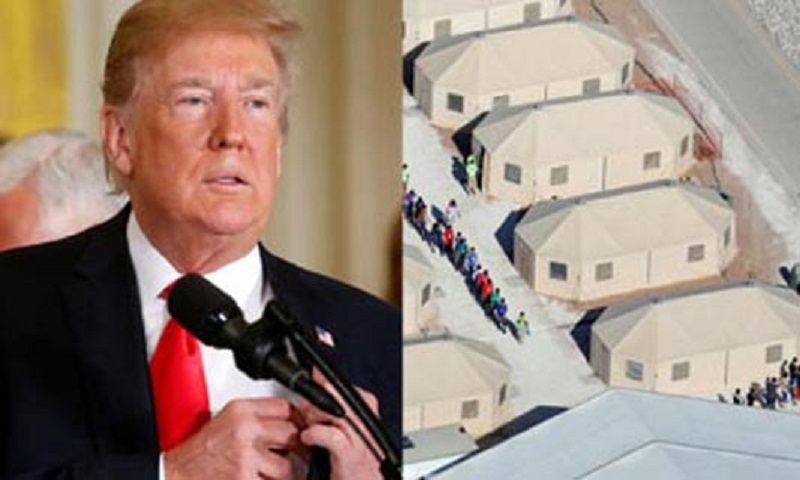 In an effort to staunch the flow of tens of thousands of migrants from Central America and Mexico arriving at the southern boundary every month, Trump in early May ordered that all those crossing the border illegally would be arrested, and their children held separately as a result. Nearly all of the arriving families, and many others, have officially requested asylum, citing the incessant violence in their home countries. Trump’s executive order “does nothing to reunify families already torn apart by the Trump Administration’s policy,” the Washington state attorney general’s office said. “Second, the order is riddled with so many caveats as to be meaningless,” it said in a statement. The states’ lawsuit, which was expected to be filed Thursday, will allege the Administration “has violated the constitutional due process rights of the parents and children by separating them as a matter of course and without any finding that the parent poses a threat to the children,” the attorney general’s office said. It also called the federal policy discriminatory because it only targets the southern border, and says the administration has violated US asylum laws by turning people away at ports of entry. Ten states and the District of Columbia are so far set to join Washington State in the suit. The northwestern state of Washington has been one of the most aggressive, along with California and New York, in taking legal action against Trump’s administration, including over its effort to block migrants from several Muslim-majority countries. Trump’s administration has in turn taken California to court challenging its legislation that restricts local police and businesses from cooperating with immigration authorities.